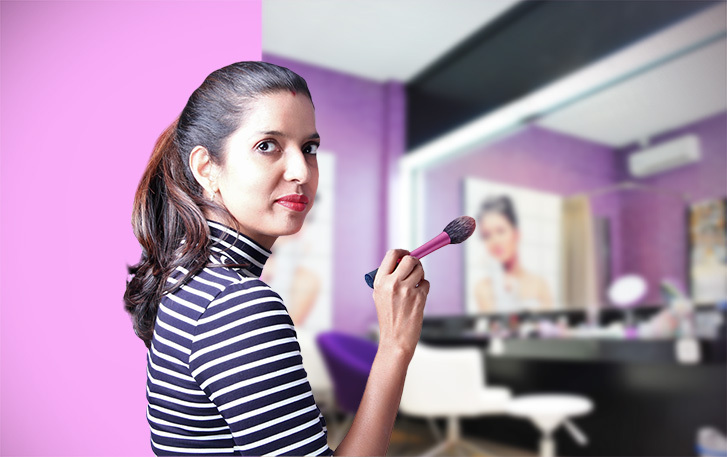 As a young girl, Tejaswini was always fascinated by makeup. Watching women pick and choose colours from their beauty kit, dab them on deftly in a matter of minutes, and then miraculously transform into beautiful beings...was something that caught her fancy. It was only when a thoughtful relative gifted her a makeup kit that she began experimenting, and discovered the wonders a touch of makeup and styling could do. Tejaswini set out to pursue the art professionally, and is today, a much-appreciated Bridal Makeup and Hair Stylist. Not just that, she has also carved a niche for herself in the world of fashion! Tejaswini was the Official Hair Partner for India Intimate Fashion Week ( IIFW India ), and has worked as a hair stylist at the coveted Lakme Fashion Week 2016 and 2017, winter and summer collection. She has also worked with models for Cover Shoots of Bridal Magazines and Editorials, and Advertisements. Tejaswini has to her credit and styling celebrities like the very talented Radhika Apte, Model Waluscha de Sousa, and the truly inspirational wrestler sisters, Geeta and Babita Phogat. Tejaswini's USP lies in her ability to create beautiful styles for people with different skin types and hair textures, also her inherent ability to understand what will please the sensibilities of her client's. Highly meticulous, Tejaswini is particular about using only top-class products, no matter how trivial is the job at hand is. She also believes in continuously honing her skills, and has spent months training with bridal specialists, and taking advanced lessons to perfect her hair styling techniques.